Most of the world’s deadliest pollution is concentrated in the Third World, largely among poor households which have little or no access to electricity produced by fossil-fuel power. Serious pollution in the West, however, is negligible. This is the clear message of the latest State of Global Air report produced by the Health Effects Institute and Institute for Health Metrics and Evaluation. But it is not, needless to say, how it is being reported in the liberal media. The Guardian, for example, headlines its story: “More than 95% of world’s population breathe dangerous air, major study finds”. This sounds bad, until you realize that the “dangerous” air being talked about here is only “dangerous” because it contains concentrations of particulate matter known as PM2.5. Ah yes: our old friend PM2.5. We dealt with this pseudo-scientific fake news scare story this time last year, at the time of the previous State of Global Air report. This is both canny and righteous. 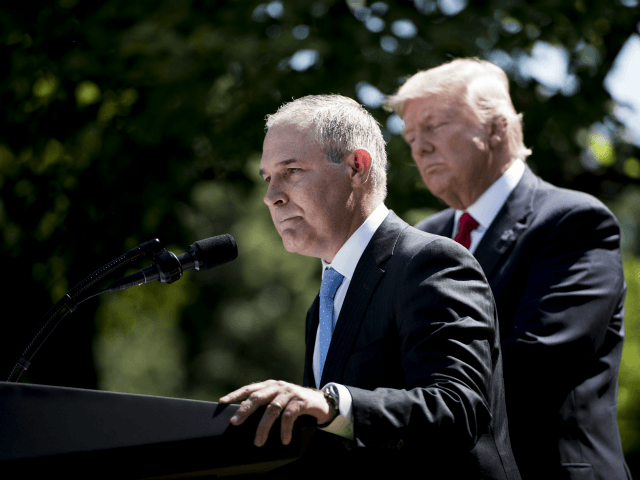 It’s righteous because Scott Pruitt has proved himself to be perhaps the bravest and best of Trump’s administrators.